Uebbing, B., Kusche, J., Rietbroek, R. and Landerer, F. W. (2019). Processing choices affect ocean mass estimates from GRACE. Journal of Geophysical Research: Oceans, 124, no. 2: 1029–44, doi.org/10.1029/2018JC014341. Andersen, O. B., Nielsen, K., Knudsen, P., Hughes, C. W., Bingham, R., Fenoglio-Marc, L.,Gravelle, M., Kern, M., Padilla Polo, S. (2018) Improving the coastal mean dynamic topography by geodetic combination of tide gauge and satellite altimetry, Marine Geodesy, Doi.10.1080/01490419.2018.1530320. Engels, O., Gunter, B.C., Riva, R.E.M., Klees, R. (2018) Separating geophysical signals using GRACE and high‐resolution data: a case study in Antarctica, Geophysical Research Letters, 45, doi.org/10.1029/2018GL079670. Kusche, J., Uebbing, B., Rietbroek, R., Fenoglio-Marc, L., Bernzen, A. , Braun, B. (2018), Bangladesch – integriertes Monitoring in einer klimasensitiven Region. zfv – Zeitschrift für Geodäsie, Geoinformation und Landmanagement 143 (1), 4-14. Doi.10.12902/zfv-0193-2017. Legeais, J.-F., Ablain, M., Zawadzki, L., Zuo, H., Johannessen, J., Scharffenberg, M., Fenoglio-Marc, L., Fernandes, M.J., Andersen, O.B., Rudenko,S., Cipollini, P., Quartly, G.D., Passaro, M., Cazenave,A., Benveniste, J. (2018) An improved and homogeneous altimeter sea level record from the ESA Climate Change Initiative, Earth Syst. Sci. Data, 10, 281-301, Doi.org/10.5194/essd-10-281-2018. Naz, B. S., Kurtz, W., Montzka, C., Sharples, W., Goergen, K., Keune, J., Gao, H., Springer, A., Hendricks Franssen, H.-J., and Kollet, S. (2018) Improving soil moisture and runoff simulations over Europe using a high-resolution data-assimilation modeling framework, Hydrol. Earth Syst. Sci. Discuss., doi.org/10.5194/hess-2018-24. Reale, F., Fabio Dentale, F., Pugliese Carratelli, E., Fenoglio-Marc, L. (2018) Influence of Sea State on Sea Surface Height Oscillation from Doppler Altimeter Measurements in the North Sea, Remote Sens. 2018, 10, 1100; Doi.10.3390/rs10071100. The IMBIE Team (2018) Mass balance of the Antarctic Ice Sheet from 1992 to 2017. Nature, 558, pp. 219 - 222, doi.org/10.1038/s41586-018-0179-y. Vermeersen, B.L.A., Slangen, A.B.A., Gerkema, T., Baart, F., Cohen, K.M., Dangendorf, S., Duran-Matute, M., Frederikse, T., Grinsted, A., Hijma, M.P., Jevrejeva, S., Kiden, P., Kleinherenbrink, M., Meijles, E.W., Palmer, M.D., Rietbroek, R., Riva, R.E.M., Schulz, E., Slobbe, D.C., Simpson, M.J.R., Sterlini, P., Stocchi, P., Wal, R.S.W. van de, Wegen, M. van der, (2018) Sea-level change in the Dutch Wadden Sea. Netherlands Journal of Geosciences 97, 79–127. Doi.org/10.1017/njg.2018.7. Wiese, A., Staneva, J., Schultz-Stellenfleth, J., Behrens, A., Fenoglio-Marc, L., Bidlot, J.-R. (2018) Synergy of wind wave model simulations and satellite observations during extreme events, Ocean Science, Doi.org/10.5194/ os-2018-87. Börger, K. (2017): Weltraumwetter und seine militärische Relevanz. Ausgabe 5. K&K Medienverlag, Bonn. Buchhaupt, C., Fenoglio-Marc, L., Dinardo, S., Scharroo, R., Becker, M. (2017) A fast convolution based waveform model for conventional and unfocused SAR altimetry. Advances in Space Research, Special Issue CryoSat-2, doi.org/10.1016/j.asr.2017.11.039. Dinardo, S., Fenoglio-Marc, L., Buchhaupt, C., Becker, M., Scharroo, R., Fernandez, J., Benveniste, J. (2017). Coastal SAR and PLRM Altimetry in German Bight and West Baltic Sea, Advance in Space Research, Special Issue CryoSat-2, doi.org/10.1016/j.asr.2017.12.018. El-Ashquer, M., Elsaka, B., El-Fiky, G. (2017) EGY-HGM2016: An Improved Hybrid Local Geoid Model for Egypt based on teh Combination of GOCE-based Geopotential Model with Gravimetric and GNSS/Levelling Measurements. Arabian Journal of Geosciences (AJGS), 10(11), doi.org/10.1007/s12517-017-3042-9. Löcher, A., Hofmann, F., Gläser, P., Haase, I., Müller, J., Kusche, J., Oberst, J. (2017) Towards improved lunar reference frames: LRO orbit determination. In: T. van Dam (ed. ), REFAG 2014, IAG Symposia, 146, pp. 201–207, doi.org/10.1007/1345_2015_146. Marcos, M., Marzeion, B., Dangendorf, Slangen, A., Palanisamy, H., Fenoglio-Marc, L. (2017) Internal Variability Versus Anthropogenic Forcing on Sea Level and Its Components. Surveys in Geophysics, Volume 38, Issue 1, pp 329–348. doi.org/10.1007/s10712-016-9373-3. Riddell, A., King, M., Watson, C., Sun, Y., Riva, R., Rietbroek, R. (2017) Uncertainty in geocenter estimates in the context of ITRF2014, J. Geophys. Res. Solid Earth, 2016JB013698, doi:10.1002/2016JB013698. Roscher, R., Uebbing, B., Kusche, J. (2017) STAR: Spatio-temporal altimeter waveform retracking using sparse representation and conditional random fields. Remote Sensing of Environment, 201, pp.148-164, doi.org/10.1016/j.rse.2017.07.024. Staneva, J., Wahle, K., Koch, W., Behrens, A., Fenoglio-Marc, L., Stanev, E. (2017) Coastal flooding: impact of waves on storm surge during extremes. A case study for the German Bight. Nat. Hazards Earth Syst. Sci., 16, pp. 2373–2389, doi.org/10.5194/nhess-16-2373-2016. Wahle, K., Staneva, J., Koch, W., Fenoglio-Marc, L., Ho-Hagemann, H., Stanev, E. (2017) An atmosphere-wave regional coupled model: improving prediction of wave heights and surface winds in the Southern North Sea. Ocean Science, 13, pp. 289–301, doi.org/10.5194/os-13-289-2017. Ablain M., Legeais, J.F., Prandi, P., Marcos, M., Fenoglio-Marc, L., Benveniste, J., Dieng H.B., Cazenave, A. (2016) Satellite Altimetry-Based Sea Level at Global and Regional Scales. Surveys in Geophysics, 38 (1), pp. 7-31,doi.org/10.1007/s10712-016-9389-8. Awange, J., Khandu, Schumacher, M., Forootan, E., Heck, B. (2016) Exploring hydro-meteorological drought patterns over the Greater Horn of Africa (1979–2014) using remote sensing and reanalysis products. Advances in Water Resources, 94, pp. 45-59. doi.10.1016/j.advwatres.2016.04.005. Eicker, A., Springer, A. (2016) Monthly and sub-monthly hydrological variability: in-orbit validation by GRACE level 1B observations. Journal of Geodesy, 90 (6), pp. 573 - 584, doi.org/10.1007/s00190-016-0895-8. Forootan, E., Khandu, K., Awange, J., Schumacher, M., Anyah, R., van Dijk, A.I.J.M., Kusche, J. (2016) Quantifying the impacts of ENSO and IOD on rain gauge and remotely sensed precipitation products over Australia. Remote Sensing of Environment 172, pp. 50-66, doi.10.1016/j.rse.2015.10.027. Khandu, K., Awange, J. L. and Forootan, E. (2016) Interannual variability of temperature in the UTLS region over Ganges–Brahmaputra–Meghna river basin based on COSMIC GNSS RO data. Atmospheric Measurement Techniques 9, pp. 1685-1699. doi.10.5194/amt-9-1685-2016. Khandu, Forootan, E., Schumacher, M., Müller-Schmied, H., Awange, J. (2016) Exploring the influence of precipitation extremes and human water use on total water storage (TWS) changes in the Ganges-Brahmaputra-Meghna River Basin. Water Resources Research, 52(3), pp. 2240-2258. doi.10.1002/2015WR018113. Lieb, V., Schmidt, M., Dettmering, D., Börger, K. (2016): Combination of various observation techniques for regional modeling of the gravity field. Journal of Geophysical Research 121(5), 3825-3845, doi.10.1002/2015JB012586. Reager, J., Gardner, A., Famiglietti, J., Wiese, D., Eicker, A., Lo, M. H. (2016) A decade of sea level rise slowed by climate-driven hydrology. Science, 351 (6274), 699 - 703. Schall, J., Loecher, A., Kusche, J., Rietbroek, R., Sudau, A. (2016) Consistency of Geoid Models, Radar Altimetry, and Hydrodynamic Modelling in the North Sea. Marine Geodesy, volume 39, issue 3-4, pages 223 - 237. Schumacher, M., Eicker, A., Kusche J., Müller-Schmied, H., Döll, P. (2016) Covariance Analysis and Sensivity Studies for GRACE Assimilation into WGHM. 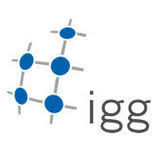 IAG Symp 2013, vol. 143, pages 241 - 248, doi:org/10.1007/1345_2015_119. Staneva, J., Wahle, K., Koch, W., Behrens, A., Fenoglio-Marc, L., Stanev, E. (2016) Coastal flooding: impact of waves on storm surge during extremes – a case study for the German Bight. Nat. Hazards Earth Syst. Sci., volume 16, issue 11, pages 2373-2389. Al-Zyoud, S., Rühaak, W., Forootan, F., Sass, I. (2015) Over exploitation of groundwater in the centre of Amman Zarqa Basin-Jordan: evaluation of well data and GRACE satellite observations. Resources 4, pp. 819-830. doi.10.3390/resources4040819. Awange, J., Ferreira, V.G., Forootan, E., Khandu, K., Andam-Akorful, S.A., Agutu, N.O., He, X.F. (2015) Uncertainties in remotely-sensed precipitation data over Africa. International Journal of Climatology, 36, pp. 303-323. doi.10.1002/joc.4346. Börger, K., Schmidt, M. (2015): Monitoring Space Weather at GSSAC. In: Sgobba, T., Rongier, I. (eds). Space Safety is No Accident: The 7th IAASS Conference. Springer, Cham, pp. 365-369, doi.org/10.1007/978-3-319-15982-9_43. Cudennec, C., Eicker, A., Pilon, P., Stoffel, M., Viglione, A., Xu, Z. (2015) Preface: Extreme Hydrological Events. Proc. IAHS, pp. 369, 1-2. Famiglietti, J.S., Cazenave, A. Eicker, A., Reager, J.T., Rodell, M., Velicogn, I. (2015) Satellites provide the big picture. Science 349 (6249), pp. 684-685, doi.10.1126/science.aac9238. Fenoglio-Marc, L., Scharroo, R., Annunziato, A., Mendoza, L., Lillibridge, J., Becker, M. (2015) Cyclone Xaver seen by geodetic observations. Geophysical Research Letters, 42(22), pp. 9925–9932, doi.10.1002/2015GL065989. Fenoglio-Marc, L., Dinardo, S., Scharroo, R., Roland, A., Dutour, M., Lucas, B., Becker, M., Benveniste, J. (2015) The German Bight: a validation of CryoSat-2 altimeter data in SAR mode. Advances in Space Research, 55(11), pp. 2641–2656, doi.org/10.1016/j.asr.2015.02.014. Khaki, M., Forootan, E., Sharifi, M.A., Awange, J., Kuhn, M. (2015) Improved gravity anomaly fields from retracked multi-mission satellite radar altimetry observations over the Persian Gulf and the Caspian Sea. Geophysical Journal International, 202(3), pp. 1522–1534, doi.org/10.1093/gji/ggv240. Khandu, K., Awange, J., Forootan, E. (2015) An evaluation of high-resolution gridded precipitation products over Bhutan (1998-2012). International Journal of Climatology, 36, pp. 1067-1087. doi.10.1002/joc.4402. Pail, R., Bingham, R., Braitenberg, C., Dobslaw, H., Eicker, A., Güntner, A., Horwath, M., Ivins, E., Longuevergne, L., Panet, I. & Wouters, B. (2015) Science and User Needs for Observing Global Mass Transport to Understand Global Change and to Benefit Society. Surveys in Geophysics, 36(6), pp. 743-772, doi.org/10.1007/s10712-015-9348-9. Passaro, M., Fenoglio-Marc, L., Cipollini, P. (2015) Validation of significant wave height for improved satellite altimetry in the German Bight. IEEE Transactions on Geoscience and Remote Sensing, 54(4), pp. 2146–2156, doi.10.1109/TGRS.2014.2356331. Roscher, R., Uebbing, B., Kusche, J. (2015) Spatio-temporal altimeter waveform retracking via sparse representation and conditional random fields. IEEE International Geoscience and Remote Sensing Symposium (IGARSS)., July, 2015., pp. 1234-1237, doi.10.1109/IGARSS.2015.7325996. Andam-Akorful, S., Ferreira, V., Awange, J., Forootan, E., He, X. (2014) Multi-model and Multi-sensor Estimation of Evapotranspiration over the Volta Basin, West Africa. International Journal of Climatology, 35(10), pp.3132–3145, doi.10.1002/joc.4198. Artz, T., Springer, A., Nothnagel, A. (2014) A complete VLBI delay model for deforming radio telescopes: the Effelsberg case. Journal of Geodesy, Volume 88 (12), pp. 1145 - 1161, doi.org/10.1007/s00190-014-0749-1. Awange, J., Mekonnen, G., Forootan, E., Wakbulcho, G., Anyah, R., Ferreira, V., Alemayehu, T. (2014) Characterization of Ethiopian Mega Hydrogeological Regimes Using Remote Sensing Datasets and Models. Advances in Water Resources, 74, pp. 64 - 78, doi.org/10.1016/j.advwatres.2014.07.012. Boergens, E., Rangelova, E., Sideris, M. G., Kusche, J. (2014) Assessment of the Capabilities of the Temporal and Spatiotemporal ICA Method for Geophysical Signal Separation in GRACE Data. Journal of Geophysical Research - Solid Earth, 119(5), pp. 4429 - 4447, doi.10.1002/2013JB010452. Börger, K., Schmidt, M. (2014) Monitoring Space Weather at GSSAC. In: Sgobba T., Rongier I. (eds) Space Safety is No Accident. Springer, pp. 365-369, doi.org/10.1007/978-3-319-15982-9_43. Döll, P., Fritsche, M., Eicker, A., Mueller-Schmied, H. (2014) Seasonal Water Storage Variations as Impacted by Water Abstractions: Comparing the Output of a Global Hydrologial Model with GRACE and GPS Oservations. Surveys in Geophysics, Volume 35, Issue 6, pp. 1311 - 1331, doi.org/10.1007/s10712-014-9282-2. Döll, P., Mueller-Schmied, H., Schuh, C., Portmann, F. T., Eicker, A. (2014) Global-Scale Assessment of Groundwater Depletion and Related Groundwater Abstractions: Combining Hydrological Modeling with Information from well Observations and GRACE Satellites. Water Resources Research, 50 (7), pp. 5698 - 5720, doi.10.1002/2014WR015595. Eicker, A., Schall, J., Kusche, J. (2014) Regional gravity modelling from spaceborne data: case studies with GOCE. Geophys. J. Int., 196(3). pp. 1431–1440, doi:10.1093/gji/ggt485. Elsaka, B. (2014) Sub-monthly Gravity Field Recovery from Simulated Multi-GRACE Mission Type. Acta Geophysica, 62(1), pp. 241–258, doi.org/10.2478/s11600-013-0170-9. Elsaka, B., Forootan, E., Alothman, A. (2014) Improving the recovery of monthly regional water storage using one year simulated observations of two pairs of GRACE-type satellite gravimetry constellation. Journal of Applied Geophysics, 109, pp. 195–209, doi.org/10.1016/j.jappgeo.2014.07.026. Elsaka, B., Raimondo, J.-C., Brieden, Ph., Reubelt, T., Kusche, J., Flechtner, F., Iran-Pour, S., Sneeuw, N., Müller, J. (2014) Comparing seven candidate mission configurations for temporal gravity field retrieval through full-scale numerical simulation. Journal of Geodesy, 88(1), pp. 31–43, doi.org/10.1007/s00190-013-0665-9. Khaki, A., Forootan, E., Sharifi, M. A. (2014) Waveform Retracking over the Caspian Sea. International Journal of Remote Sensing, 35, pp. 6329 - 6356, doi.org/10.1080/01431161.2014.951741. Kusche, J., Klemann, V., Sneeuw, N. (2014) Mass Distribution and Mass Transport in the Earth System: Recent Scientific Progress Due to Interdisciplinary Research. Surveys in Geophysics, 35(6), pp. 1243 - 1249, doi.org/10.1007/s10712-014-9308-9. Omondi, P., Awange, J., Forootan, E., et al. (2014) Changes in Temperature and Precipitation Extremes Over the Greater Horn of Africa Region from 1961 to 2010. International Journal of Climatology, 34(4), pp. 1262–127, doi.10.1002/joc.3763. Reudink, R., Klees, R., Francis, O., Kusche, J., Schlesinger, R., Shabanloui, A., Sneeuw, N., Timmen, L. (2014) High Tilt Susceptibility of the Scintrex CG-5 Relative Gravimeters. Journal of Geodesy, 88(6), pp. 617 - 622, doi.org/10.1007/s00190-014-0705-0. Rietbroek, R., Fritsche, M., Dahle, C., Brunnabend, S.-E., Behnisch, M, Kusche, J., Flechtner, F., Schroeter, J., Dietrich, R. (2014) Can GPS-Derived Surface Loading Bridge a GRACE Mission Gap?. Surveys in Geophysics, 35(6), pp. 1267 - 1283, doi.org/10.1007/s10712-013-9276-5. Schrama, E., Wouters, B., Rietbroek, R. (2014), A Mascon Approach to Assess Ice Sheet and Glacier Mass Balances and Their Uncertainties from Grace Data. Journal of Geophysical Research - Solid Earth, 119(7), pp. 6048–6066 doi.10.1002/2013JB010923. Springer, A., Kusche, J., Hartung, K., Ohlwein, C., Longuevergne, L. (2014) New Estimates of Variations in Water Flux and Storage over Europe Based on Regional (Re)Analyses and Multisensor Observations. Journal of Hydrometeorology, 15(6), pp. 2397–2417, doi:10.1175/JHM-D-14-0050.1. Awange, J., Aynah, R., Agola, N., Forootan, E., Omondi, P. (2013) Potential impacts of climate and environmental change on the stored water of Lake Victoria Basin and economic implications. Water Resources Research, 49, pp. 8160–8173, doi:10.1002/2013WR014350. Forootan, E., Kusche, J. (2013) Separation of deterministic signals, using independent component analysis (ICA), Studia Geophysica et Geodetica, 57(1), pp. 17–26, doi.org/10.1007/s11200-012-0718-1. Forootan, E., Rietbroek, R., Kusche, J., Sharifi, M., Awange, J., Schmidt, M., Omondi, P., Famiglietti, J.S. (2013) Separation of large scale water storage patterns over Iran using GRACE, altimetry and hydrological data. Remote Sensing of Environment, 140, pp. 580-595, doi.org/10.1016/j.rse.2013.09.025. Omondi, P., Awange, J., Ogallo, L.A., Ininda, J., Forootan, E. (2013) The influence of low frequency sea surface temperature modes on delineated decadal rainfall zones in Eastern Africa region. Advances in Water Resources, 54, pp. 161 - 180, doi.org/10.1016/j.advwatres.2013.01.001. Schnitzer, S., Seitz, F., Eicker, A., Güntner, A., Wattenbach, M., Menzel, A. (2013) Estimation of soil loss by water erosion in the Chinese Loess Plateau using Universal Soil Loss Equatior and GRACE. Geophysical Journal International, 193(3), pp. 1283–1290, doi.org/10.1093/gji/ggt023. Sharifi, M.A., Forootan, E., Nikkhoo, M., Awange, J., Najafi-Alamdari, M. (2013) A point-wise least squares spectral analysis (LSSA) of the Caspian Sea level fluctuations, using Topex/ Poseidon and Jason-1 observations. Advances in Space Research, 51 (5), pp. 858-873, doi.org/10.1016/j.asr.2012.10.001. Döll, P., Hoffmann-Dobrev, H., Portmann, F. T., Siebert, S., Eicker, A., Rodell, M., Strassberg, G., Scanlon, B.R. (2012) Impact of water withdrawals from groundwater and surface water on continental water storage variations. Journal of Geodynamics, Volumes 59-60: 143-156, doi.org/10.1016/j.jog.2011.05.001. Eicker, A., Mayer-Gürr, T., Kurtenbach, T. (2012) Challenges in Deriving Trends from GRACE. In. Proc. Geodesy for Planet Earth, International Association of Geodesy Symposia 136, doi.0.1007/978-3-642-20338-1_19. Jokat, W., Kollofrath, J., Geissler, W. H., Jensen, L. (2012) Crustal thickness and earthquake distribution south of the Logachev Seamount, Knipovich Ridge. Geophysical Research Letters, 39 (L08302), doi.10.1029/2012GL05119. Mayer-Gürr, T., Savcenko, R., Bosch, W., Daras, I., Flechtner, F., Dahle, Ch. (2012) Ocean tides from satellite altimetry and GRACE. Journal of Geodynamics, 59–60, pp. 28-38, doi.org/10.1016/j.jog.2011.10.009. Omondi, P., Awange, J., Ogallo, L.A., Okoola, R.A. and Forootan, E. (2012) Decadal rainfall variability modes in observed rainfall records over East Africa and their relations to historical sea surface temperature changes. Journal of Hydrology, 464-46, pp. 140-156, doi.10.1016/j.jhydrol.2012.07.003. Forootan, E., Kusche, J. (2011) Separation of global time-variable gravity signals into maximally independent components. Journal of Geodesy, 86(7), pp. 477-497, doi.10.1007/s00190-011-0532-5. Schall, J., Mayer-Gürr, T., Eicker, A., Kusche, J. (2011) A global gravitational field model from GOCE gradiometer observations. Proceedings of the ESA 4th International GOCE User Workshop, ESA Publications SP-696 (on CD-ROM). Tesmer, V., Steigenberger, P., van Dam T., Mayer-Gürr, T. (2011) Vertical deformations from homogeneously processed GRACE and global GPS long-term serie. Journal of Geodesy, 85(5), pp. 291-310, doi.org/10.1007/s00190-010-0437-8. Börger, K. (2010) Modern Military Geodesy. Proceedings of the 8th International Conference on Military Geosciences 2009, Vienna. Börger, K. et al. (2010) Space-Time Reference-Systems for Monitoring Global Change and for Precise Navigation. Mitteilungen des Bundesamtes für Kartographie und Geodäsie, Band 44. Eicker, A., Mayer-Gürr, T., Ilk, K.-H., Kurtenbach, E., Flechtner, F., Gruber, T., Günter, A., Mandea, M., Rothacher, M, Schöne, T., Wickert, J. (2010) Regionallly refined gravity field models from in-situ satellite data. System Earth via geodetic-geophysical space techniques. Springer Techniques, pp. 255 - 264, doi.org/10.1007/978-3-642-10228-8_20. Jansen, M., Gunter, B., Rietbroek, R., Dahle, Ch., Kusche, J.,,Flechtner, F., Brunnabend S.-E., Schröter, J. (2010) Estimating submonthly global mass transport signals using GRACE, GPS and OBP data sets. In Proc. of the IAG International Symposium on Gravity, Geoid and Earth Observation, Ed. S. Mertikas, Chania,Crete. Springer. doi.org/10.1007/978-3-642-10634-7_78. Mayer-Gürr, T., Eicker, A., Kurtenbach, E., Ilk, K.-H (2010) ITG-GRACE: Global Static and Temporal Gravity Field Models from GRACE Data. In: Flechtner F. et al. (eds) System Earth via Geodetic-Geophysical Space Techniques. Advanced Technologies in Earth Sciences (2190-1643). Springer, Berlin, Heidelberg, pp. 159 - 168, doi.org/10.1007/978-3-642-10228-8_18. Nothnagel, A., Angermann, D., Börger, K., Dietrich, R., Drewes, H., Görres, B., Hugentobler, U., Ihde, J., Müller, J., Oberst, J., Pätzold, M., Richter, B., Rothacher, M., Schreiber, U., Schuh, H., Soffel, M. (2010) Space-Time Reference-Systems for Monitoring Global Change and for Precise Navigation, Mitteilungen des Bundesamtes für Kartographie und Geodäsie, Band 44, Frankfurt a.M.
Pail, R., Goiginger, H., Schuh, W.-D., Hock, E., Brockmann, J.-M., Fecher, T., Gruber, T., Mayer-Gürr, T., Kusche, J., Jäggi, A., Rieser, D. (2010). Combined satellite gravity field model GOCO01S derived from GOCE and GRACE. Geophysical Reasearch Letters 37(L20314), pp. 5 - 10, doi.10.1029/2010GL044906. Petrovic, S., Braun, R., Berthelmes, F., Wünsch, J., Kusche., J., Hengst, R. (2010) Surface mass variability from GR/CE and hydrological models: Characteristic periods and the reconstruction of significant signals. System Earth via geodetic-geophysical space techniques. Springer 2010, pp. 377 - 386, doi.10.1007/978-3-642-10228-8. Shako, R., Förste, C., Abrikosov, O., Kusche, J. (2010) GOCE and its use for a high-resolution global gravity combination model. In: Flechtner F. et al. (eds) System Earth via Geodetic-Geophysical Space Techniques. Advanced Technologies in Earth Sciences (2190-1643). Springer, Berlin, Heidelberg, pp. 231 - 242, doi.org/10.1007/978-3-642-10228-8_18. Winkelmann, D., Jokat, W., Jensen, L., Schenke, H. W. (2010) Submarine end moraines on the continental shelf off NE Greenland - Implications for late glacial dynamics. Quaternary Science Reviews, 29(9-10), pp. 1069 - 1077, doi.org/10.1016/j.quascirev.2010.02.002. Bosch, W., Savcenko, R., Flechtner, F., Dahle, Ch., Mayer-Gürr, T., Stammer, D., Taguchi E., Ilk, K.-H. (2009) Residual ocean tide signals from satellite altimetry, GRACE gravity fields, and hydrodynamic modelling. Geophysical Journal International, 178(3), pp. 1185-1192, doi.10.1111/j.1365-246X.2009.04281.x. Jansen, M. J. F., Gunter, B. C., Kusche, J. (2009) The impact of GRACE, GPS and OBP data on estimates of global mass redistribution. Geophysical Journal International, 177(8), pp. 1-13, doi.10.1111/j.1365-246X.2008.04031.x. Kurtenbach, E., Mayer-Gürr, T. and A. Eicker (2009) Deriving daily snapshots of the Earth's gravity field from GRACE L1B data using Kalman filtering. Geophysical Research Letters,36(17), doi.10.1029/2009GL039564. Rietbroek, R., Brunnabend, S.-E., Dahle, Ch., Kusche, J., Flechtner, F., Schröter, J., Timmermann, R. (2009) Changes in total ocean mass derived from GRACE, GPS, and ocean modeling with weekly resolution. Journal of Geophysical Research - Oceans, 114(C11), doi.10.1029/2009JC005449. Werth S., Güntner A., Schmidt R., Kusche J. (2009) Evaluation of GRACE filter tools from a hydrological perspective. Geophysical Journal International, 179(3), pp. 1499-1515, doi.10.1111/j.1365-246X.2009.04355.x. Baur, O., Austen, G., Kusche, J. (2008) Efficient GOCE satellite gravity field recovery based on least-squares using QR decomposition. Journal of Geodesy, 82, 4-5, 207-221, doi.org/10.1007/s00190-007-0171-z. Börger, K. (2008): Time in Space Geodetic Methods. Zeitschrift "Allgemeine Vermessungsnachrichten (AVN)", Heft 1. Börger, K., Gasper, S., Lickfett, B., Tournay, K. (2008): Auswirkung von Storungen auf die Navigation mit GPS. Zeitschrift "Allgemeine Vermessungsnachrichten (AVN)", Heft 10. Eicker, A., Mayer-Gürr, T. Ilk, K.H. (2008) Improved resolution of a GRACE gravity field model by regional refinements. In: Sideris M.G. (eds) Observing our Changing Earth. International Association of Geodesy Symposia, 133. Springer, Berlin, Heidelberg, doi.org/10.1007/978-3-540-85426-5_12. Gundlich B., Kusche J. (2008) Monte Carlo Integration for Quasi–linear Models. In: Xu P., Liu J., Dermanis A. (eds) VI Hotine-Marussi Symposium on Theoretical and Computational Geodesy. International Association of Geodesy Symposia, 132. Springer, Berlin, Heidelberg, pp.337-344, doi.org/10.1007/978-3-540-74584-6_55. Ilk, K.-H., Löcher, A., Mayer-Gürr, T. (2008) Do we need new gravity field recovery techniques for the new gravity field satellites?. In: Xu, Peiliang, Liu, Jingnan, Dermanis, Athanasios (Hg. ): VI Hotine-Marussi Symposium on Theoretical and Computational Geodesy. pp. 3–9, doi.org/10.1007/978-3-540-74584-6_1. Koch K.-R., Kusche J. (2008) Comments on Xu et al (2006) “Variance component estimation in linear inverse ill-posed models, J. Geod. 80(1):69-81“. Journal of Geodesy, 81(9):629-631, doi.org/10.1007/s00190-007-0163-z. Müller, F., Mayer-Gürr, T., Makhloof, A. (2008) Downward continuation of airborne gravimetry and gradiometry data using space-localizing spline functions. In: Sideris M.G. (eds) Observing our Changing Earth. International Association of Geodesy Symposia, 133. Springer, Berlin, Heidelberg, pp. 143-153, doi.org/10.1007/978-3-540-85426-5_17. Börger, K. (2007) Geodäsie und Quantenphysik. Schriftenreihe des Instituts für Geodäsie und Geoinformation, Heft 1, Bonn. Bludovsky, S., Börger, K., Richter, J. (2007): Die GNSS-Referenz- und Monitorstation des AGeoBw. Zeitschrift "Strategie und Technik". Börger, K., Henke, F. (2007): Zum Einfluss der Ionosphare auf die Positionsbestimmung mit Hilfe von GPS-Satelliten. Zeitschrift "Strategie und Technik". Ilk, K.H., Rothacher, M., Dow, J. (2007) Satellite Orbit modelling. J. Müller, H. Hornik: National Report 2007: XXIV General Assembly of the International Union for Geodesy and Geophysics (IUGG), DGK b. d. Bayer. Akad. D. Wiss., Reihe B Angewandte Geodäsie, Heft 315, München. Ilk K.H., Eicker A., Mayer-Gürr T. (2007) Global gravity field recovery by merging regional focusing patches: an integrated approach. In: Tregoning P., Rizos C. (eds) Dynamic Planet. International Association of Geodesy Symposia, 130. Springer, Berlin, Heidelberg, doi.org/10.1007/978-3-540-49350-1_49. Kusche, J. (2007) Approximate decorrelation and non-isotropic smoothing of time-variable GRACE-type gravity fields Journal of Geodesy, doi:10.1007/s00190-007-0143-3. Löcher A., Ilk K.H. (2007) A Validation Procedure for Satellite Orbits and Force Function Models Based on a New Balance Equation Approach. In: Tregoning P., Rizos C. (eds) Dynamic Planet. International Association of Geodesy Symposia, 130. Springer, Berlin, Heidelberg, pp. 280-287, doi.org/10.1007/978-3-540-49350-1_42. Makhloof, A., Ilk, K.H. (2007) Effects of topographic-isostatic masses on gravitational functionals at the surface of the Earth, at airborne and satellite altitudes. Journal of Geodesy, 82(2), pp. 93-111, doi.org/10.1007/s00190-007-0159-8. Makhloof, A., Ilk, K.H. (2007) Far-zone effects for different topographic-compensation models based on a spherical harmonic expansion of the topography. Journal of Geodesy, 82(10), pp. 613–635, doi.org/10.1007/s00190-008-0214-0. Makhloof, A., Müller, F., Ilk, K.H. (2007) A comparison of different methods for determining the topographic-condensation mass effects at airborne altitude. Proceedings Symposium of the 1st International Symposium of the International Gravity Field Service (IGFS2006), Harita Dergisi 18, 449-454, Istanbul. Schmidt M., Kusche, J., Han S.-C., Shum C.K., Karslioglu M.O. (2007) Multi-resolution representation of the gravity field from satellite data based on wavelet expansions with time-dependent coefficients, Proceedings of the 1st Int. Symposium of the IGFS, Harita Dergisi, General Command of Mapping, 73(18) Istanbul. Schmidt, M., Fengler, M., Mayer-Gürr, T., Eicker, A., Kusche, J., Sanchez, L., Han, S.C. (2007) Regional Gravity Field Modelling in terms of Spherical Base Functions. Journal of Geodesy, 81(1), pp 17–38, doi.org/10.1007/s00190-006-0101-5. Eicker, A., Mayer-Gürr, T., Ilk, K.H. (2006) An Integrated Global/Regional Gravity Field Determination Approach based on GOCE Observations. In: Flury J., Rummel R., Reigber C., Rothacher M., Boedecker G., Schreiber U. (eds) Observation of the Earth System from Space. Springer, Berlin, Heidelberg, pp. 225-237, doi.org/10.1007/3-540-29522-4_16. Mayer-Gürr, T., Eicker, A., Ilk, K.H. (2006) ITG-Grace02s: a GRACE gravity field derived from short arcs of the satellite's orbit. Proceedings Symposium of the 1st International Symposium of the International Gravity Field Service (IGFS2006), Harita Dergisi 18, 193-198, Istanbul. Mayer-Gürr, T., Eicker, A., Ilk, K.H. (2006) Gravity Field Recovery from GRACE-SST Data of Short Arcs. In: Flury J., Rummel R., Reigber C., Rothacher M., Boedecker G., Schreiber U. (eds) Observation of the Earth System from Space. Springer, Berlin, Heidelberg, pp. 131-148, doi.org/10.1007/3-540-29522-4_10. Börger, K. (2005): Zur Theorie und Praxis herkommlicher Casiumatomuhren. Zeitschrift für Vermessungswesen, 130. Jg., Heft 1. Börger, K. (2005): Hochgenaue Zeitbestimmung mit Cäsiumfontänen. Zeitschrift "Allgemeine Vermessungsnachrichten (AVN)", Heft 2. Börger, K. (2005): Introduction into atom interferometric gravity measurements. Nordic Journal of Surveying and Real Estate Research (NJSR), volume 2, number 2. Eicker A., Mayer-Guerr T., Ilk K. (2005) Global Gravity Field Solutions Based on a Simulation Scenario of GRACE SST Data and Regional Refinements by GOCE SGG Observations. In: Jekeli C., Bastos L., Fernandes J. (eds) Gravity, Geoid and Space Missions. International Association of Geodesy Symposia, vol 129. Springer, Berlin, Heidelberg, pp 66-71, doi.org/10.1007/3-540-26932-0_12. Ilk, K.H. (2005) Satellite Gravity and Altimetry Missions for the Detection of Mass Distributions and Mass Transports in the Earth System: an Emerging Research Field. Proceedings The 3rd Minia International Conference for Advanced Trends in Engineering (MICATE 2005), El-Minia, Egypt, April 3-5. Ilk, K.H., Flury, J., Rummel, R., Schwintzer, P., Bosch, W., Haas, C., Schröter, J., Stammer, D., Zahel, W., Miller, H., Dietrich, R., Huybrechts, P., Schmeling, H., Wolf, D., Riegger, J., Bardossy, A., Güntner, A. (2005) Mass Transport and Mass Distribution in the Earth System - Contribution of the New Generation of Satellite Gravity and Altimetry Missions to Geosciences. Proposal for a German Priority Research Program, GOCE-Projektbüro Deutschland, Technische Universität München, GeoForschungsZentrum Potsdam, Second Edition, January 2005. Ilk, K.H., Mayer-Gürr, T., Feuchtinger, M. (2005) Gravity Field Recovery by Analysis of Short Arcs of CHAMP. In: Reigber C., Lühr H., Schwintzer P., Wickert J. (eds) Earth Observation with CHAMP. Springer, Berlin, Heidelberg, pp. 127-132, doi.org/10.1007/3-540-26800-6_20. Kis, K. I., Taylor, P. T., Wittmann, G., Hyung Rae Kim, Toronyi, B., Mayer-Gürr, T. (2005) Bayesian inference in satellite gravity inversion. Journal Acta Geodaetica et Geophysica Hungarica, 40(2), pp. 161-170, doi.org/10.1556/AGeod.40.2005.2.4. Kusche, J., Schrama E. (2005) Mass Redistribution from global GPS timeseries and GRACE gravity fields: inversion issues, in Jekeli, Bastos, Fernandes (Eds.) Gravity, Geoid and Space Missions, IAG Symposia, 129, Springer. Löcher A., Ilk K.H. (2005) Energy Balance Relations for Validation of Gravity Field Models and Orbit Determinations Applied to the CHAMP Mission. In: Reigber C., Lühr H., Schwintzer P., Wickert J. (eds) Earth Observation with CHAMP. Springer, Berlin, Heidelberg, pp. 53-58, doi.org/10.1007/3-540-26800-6_8. Makhloof, A., Ilk, K.H. (2005) Far-zone Topography Effects on Gravity and Geoid Heights According to Helmert\'s Methods of Condensation and Based on Airy-Heiskanen Model. Proceedings The 3rd Minia International Conference for Advanced Trends in Engineering (MICATE 2005), El-Minia, Egypt, April 3-5. Mayer-Guerr T., Feuchtinger M., Kusche J. (2005) A Comparison of Various Procedures for Global Gravity Field Recovery from CHAMP Orbits. In: Reigber C., Lühr H., Schwintzer P., Wickert J. (eds) Earth Observation with CHAMP. Springer, Berlin, Heidelberg, pp. 151-156, doi.org/10.1007/3-540-26800-6_24. Mayer-Gürr, T., Ilk, K.H., Eicker, A., Feuchtinger, M. (2005) ITG-CHAMP01: A CHAMP Gravity Field Model from Short Kinematical Arcs of a One-Year Observation Period. Journal of Geodesy, 78(7–8), pp 462–480, doi.org/10.1007/s00190-004-0413-2. Mueller F., Mayer-Guerr T. (2005) Comparison of Downward Continuation Methods of Airborne Gravimetry Data. In: Sansò F. (eds) A Window on the Future of Geodesy. International Association of Geodesy Symposia, vol 128. Springer, Berlin, Heidelberg, pp. 254-258, doi.org/10.1007/3-540-27432-4_43. Schmidt M., Kusche, J., Shum C.K., Han S.-C., Fabert O., van Loon J. (2005) Multiresolution Representation of Regional Gravity Data, in Jekeli, Bastos, Fernandes (Eds.) Gravity, Geoid and Space Missions, IAG Symposia, 129, Springer. van Loon J., Kusche, J. (2005) Stochastic Model Validation of Satellite Gravity Data: A Test with CHAMP Pseudo-Observations, in Jekeli, Bastos, Fernandes (Eds.) Gravity, Geoid and Space Missions, IAG Symposia, 129, Springer. Eicker, A., Mayer-Gürr, T., Ilk, K.H. (2004) A Global CHAMP Gravity Field by Merging of Regional Refinement Patches. New Satellite Mission Results for the Geopotential Fields und Their Variations, Proceedings Joint CHAMP/GRACE Science Meeting, GFZ Potsdam, July 6-8. Ilk, K.H., Mayer-Gürr, T., Eicker, A., Feuchtinger, M. (2004) The Regional Refinement of Global Gravity Field Models from Kinematical Orbits. New Satellite Mission Results for the Geopotential Fields und Their Variations, Proceedings Joint CHAMP/GRACE Science Meeting, GFZ Potsdam, July 6-8. Kusche, J., van Loon J. (2004) Statistical Assessment of CHAMP Data and Models using the Energy Ba- lance Approach, 2nd CHAMP Science Meeting, Potsdam, in Reigber, Lu¨hr, Schwintzer (Eds.) Earth Observation with Champ. New Satellite Mission Results for the Geopotential Fields und Their Variations, Proceedings Joint CHAMP/GRACE Science Meeting, GFZ Potsdam, July 6-8. Mayer-Gürr, T., Ilk, K.H., Eicker, A. (2004) ITG-CHAMP02: An Improved Gravity Field Model from a Two-Year Observation Period. New Satellite Mission Results for the Geopotential Fields und Their Variations, Proceedings Joint CHAMP/GRACE Science Meeting, GFZ Potsdam, July 6-8. Mayer-Gürr, T., Ilk, K.H., Feuchtinger, M., Eicker, A.. (2004) Global and Regional Gravity Field Solutions from GRACE Observations. New Satellite Mission Results for the Geopotential Fields und Their Variations, Proceedings Joint CHAMP/GRACE Science Meeting, GFZ Potsdam, July 6-8. Börger, K. (2003): Erdrotationsbestimmung mittels Quanteninterferometrie. Zeitschrift "Allgemeine Vermessungnachrichten (AVN)", Heft 6. Ilk, K.H., Feuchtinger, M., Mayer-Gürr, T. (2003) Gravity Field Recovery and Validation by Analysis of Short Arcs of a Satellite-to-Satellite Tracking Experiment as CHAMP and GRACE. In: Sansò F. (eds) A Window on the Future of Geodesy. International Association of Geodesy Symposia, vol 128. Springer, Berlin, Heidelberg, pp. 189-194, doi.org/10.1007/3-540-27432-4_33. Mayer-Gürr, T., Ilk, K.H., Eicker, A. (2003) Regional Gravity Field Recovery From GOCE Gradiometer Measurements and SST-High-Low Observations - A Simulation Study. Proceedings of the 1st Workshop on International Gravity Field Research, May 8-9, 2003, Graz, Austria. Mayer-Gürr, T., Ilk, K.H., Löcher, A., Feuchtinger, M. (2003) Gravity Field Recovery and Validation by Analysis of Short Arcs of CHAMP. Proceedings of the 1st Workshop on International Gravity Field Research, May 8-9, 2003, Graz, Austria. Müller, F. (2003) Comparison of Different Downward Continuation Methods of Airborne Gravimetry Data. Proceedings of the IAG Symposium G04, IUGG General Assembly 2003, Sapporo, Japan. Börger, K. (2002): Moderne Metechnik auf Quantenbasis. In: Mitteilungen aus den Geodätischen Instituten der Rheinischen Friedrich-Wilhelms-Universitat Bonn, Nr. 89. Börger, K. (2002): A geocentric relativistic approach for modelling the delay of the geodetic VLBI. Zeitschrift "Allgemeine Vermessungsnachrichten (AVN)", Heft 5. Börger, K., Reifenrath, P. (Hrsg.) (2002): Anwendungen von SAPOS im Kataster. Bezirksregierung Köln. Kusche, J., Mayer-Gürr, T. (2002) On the Iterative Solution of Ill-Conditioned Normal Equations by the Use of Lanczos Methods. In: Adam, J., Schwarz, K.P. (Hg. ): Vistas for Geodesy in the New Millennium. pp. 248-252, doi.org/10.1007/978-3-662-04709-5_41. Börger, K. (2001): Das Quantendynamometer - Ein Beispiel zur geodätischen Nutzung der Schrödingergleichung. Zeitschrift für Vermessungswesen, 126. Jg., Heft 6. Börger, K., Borowski, T., Diefenbach, F., Rutz, H. (2001): Flächenmanagement und Bodenordnung in intereuropäischer Kooperation, Zeitschrift "Flächenmanagement und Bodenordnung", 63. Jg., Heft 5. Börger, K., Campbell, J., Muskens, A., Sorgente, M. (2000): Comparison of MK III and MK IV Correlation using a 4-station IRIS-S experiment. Proceedings of the 14th Working Meeting on European VLBI for Geodesy and Astrometry, Herausgeber: Tomasi, P., Mantovani, F. und Perez Torres, M., Istituto Di Radioastronomia/CNR, Bologna. Börger, K. (1999): A geocentric relativistic VLBI-Model. Proceedings of the 13th Working Meeting on European VLBI for Geodesy and Astrometry, Herausgeber: Hase, H. und Schlüter, W., Bundesamt für Kartographie und Geodäsie, Wettzell. Börger, K. (1999): Comparison of European network solutions. Proceedings of the 13th Working Meeting on European VLBI for Geodesy and Astrometry, Herausgeber: Hase, H. und Schlüter, W., Bundesamt für Kartographie und Geodäsie, Wettzell. Börger, K. (1998): Untersuchungen zur geozentrischen Modellbildung der relativistischen Langbasisinterferometrie. Mitteilungen aus den Geodätischen Instituten der Rheinischen Friedrich-Wilhelms-Universitat Bonn, Nr. 84. Ilk, K.-H. (1997) Satellitengeodäsie und Langbasis-Interferometrie auf der Fundamentalstation Wettzell, Kolloquiumsvorträge am 11. September 1995 in Wettzell anläßlich des 60sten Geburtstages von Prof. Dr.rer.nat. Manfred Schneider, DGK, Reihe B, Heft 305, Verlag des Instituts für Angewandte Geodäsie. Sneeuw, N., Ilk, K.-H. (1997) The status of space borne gravity field mission concepts, A comparative simulation study, in: Segawa, J., Fujimoto, H., Okubo, S. (eds.) Gravity, Geoid and Marine Geodesy, IAG Symposia, Vol. 117, pp 171-178, Springer Verlag, ISBN (Print) 978-3-540-63352-5. Börger, K. (1996): Determination of Metric Coecients with VLBI. Proceedings of the 11th Working Meeting on European VLBI for Geodesy and Astrometry, Chalmers University of Technology, Research Report No. 177, Gothenburg, Sweden. Ilk, K.-H. (1995) Regularization for High Resolution Gravity Field Recovery by Future Satellite Techniques, in: Anger, G. (eds.) Inverse Problems: Principles and Applications in Geophysics, Technology and Medicine. Mathematical Research, Vol. 74, pp 189-214, Akademie-Verlag. Rummel, R., Ilk, K.-H. (1995) Height datum connection - the ocean part, in: Schlemmer, H. (eds.) AVN - Allgemeine Vermessungs-Nachrichten, Vol. 102, Nr. 8-9, pp 321-330, Herbert Wichmann Verlag. Thalhammer, M., Ricard, Y., le Stunff, Y., Rummel, R., Ilk, K.-H. (1996) Application of spaceborne gravimetry to research on the interior of the Earth, CIGAR IV, Final Report 1996, ESTEC/JP/95-4-137/MS/nr, pp 1-68, ESTEC. Thalhammer, M., Ilk, K.-H. (1995) Measurement of the earth's gravitational field, Time and frequency utilization study, Workpackage 1: "Time and frequency for earth observation", ESA contract 1374/94/NL/VK, ESA, 1995. Thalhammer, M., Rummel, R., Ilk, K.-H. (1995) Refined method for the regional recovery from GPS-SST and SGG, Study of the gravity field determination using gradiometry and GPS, Final Report, ESA contract 10713/93/F/FL, Workpackage 222, ESA.